As skilled professionals, pharmacy technicians perform the tasks related to the preparation and dispensing of pharmaceutical drugs. 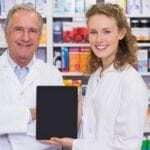 They manage the day-to-day operations of the retail and institutional pharmacies, conducting all the functions that do not require the proficiency of a registered pharmacist. Routine tasks include collecting prescription information, measuring, counting, or pouring medication for prescriptions, packaging and labeling prescriptions, organizing inventory, answering the phones, accepting payments and processing insurance claims, operating automated dispensing equipment, and updating customer or patient information. The aging population uses more prescription medication than younger generations. High instances of chronic diseases, such as hypertension and diabetes, among every age group also increase demand for prescription medication. These and other factors contribute to the projected growth for pharmacy technician employment. According to the Bureau of Labor Statistics, employment is projected to grow 9 percent in the next decade. The Pharmacy Technician program at North-West College includes education and hands-on training that students need to become a certified pharmacy technician. The training includes the skills and procedures that pharmacy technicians perform in hospitals, pharmaceutical labs, retail pharmacies, and other pharmacy settings. Students learn pharmaceutical calculations, sterile and non-sterile compounding, drug labeling, processing prescriptions, and dispensing over-the-counter medications. Additional areas of study include laws and regulations governing the industry, medical terminology, pharmacy related medicine, and ethical codes of conduct. The entire curriculum is divided into 8 distinct modules in addition to a 240-hour clinical internship. Course modules are Seminar of Success, Drug Distribution, Admixture I, Admixture II, Pharmacology, Retail Communications, Home Health, Retail Communications, and Career Seminar. At the conclusion of the program, students will have completed 900 hours or 25.5-semester credits. Candidates should schedule an appointment with an admissions representative before completing an application. Applicants must possess a high school diploma or equivalent and provide verifiable documentation. The Wonderlic Scholastic Level Exam (SLE) will be administered during the enrollment process. Tuition for the 38-week program is $15,347. Books and supplies cost an additional $648. 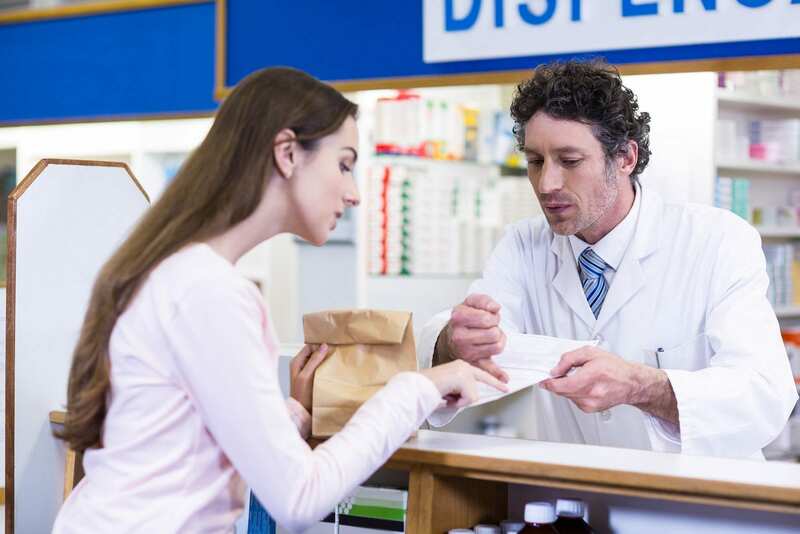 The Pharmacy Technician program at the American College of Healthcare prepares students to play a supportive role to pharmacists in retail, home infusion and institutional pharmacies. The goal of the program is to equip students with essential skills to perform administrative duties, attend to customer service issues, and prepare and dispense prescriptions. The curriculum covers a wide range of topics including pharmacy terminology, pharmacy law and ethics, pharmaceutical calculations, record keeping, packaging and label, sterile and non-sterile compounding, and much more. The pharmacy externship is a vital part of the program as it gives students an opportunity to apply the knowledge and practical skills gained in the classroom. The program runs for 36 weeks and covers a total of 970 hours or 48 credits. Classes meet Monday through Thursday from 8:00 am to 1:00 pm. Applicants must be 18 years or older, have a high school diploma or GED or passing score on the Ability-to-Benefit test, attain a passing score on the SLE test, and attend a personal interview with an admissions representative. The tuition is $16,095 and includes books, uniforms, CPR course, and program-specific equipment. Job placement assistance is available for all students. Riverside School of Career Education prepares pharmacy technician students for the licensing exam and entry-level employment in multiple pharmacy settings. The curriculum covers 630 contact hours in 22 weeks. Units of instruction include but are not limited to customer service, insurance and billing, administration, standards and ethics, laws and regulations, retail skills, pharmacy and medical terminology, abbreviations and symbols, dosage calculations, identification of drugs, routes of administration, record keeping, and dispensing medications. Classes meet Monday through Friday from 8:00 am to 4:30 pm. The program includes a 226-hour pharmacy internship. Applicants must provide proof of high school diploma or equivalent, pass the assessment test, and submit a copy of their government-issued photo ID and social security card. A background check and fingerprinting may be required. Tuition for the program is $5,195 and includes textbooks, two uniforms and one lab coat, and AHA Basic Life Support CPR training and card. The pharmacy technician program at UEI College prepares students for an entry-level position in health care. The curriculum comprises of nine modules covered in 36 weeks. The first 8 modules are conducted on campus in a classroom and lab. Each module is 80 hours. The final module is 120 hours and takes place off-campus at an extern employment site. Course modules are sterile preparations, internal medicine, pharmacy law, pharmacology and compounding, hospital pharmacy procedures, retail pharmacy procedures, retail pharmacy operations, health insurance and billing, and externship. The total program is 760 clock hours or 34.5-semester credits. Tuition costs $19,500. SJVC’s Pharmacy Technology program prepares students for employment under the direct supervision of the registered pharmacist. The program is 60 weeks and includes a balance of classroom and lab instruction as well as a pharmacy externship that gives students the opportunity to learn in a real-world environment. Students learn pharmacology, pharmacy law and ethics, prescription processing, pharmacy science, pharmacy business simulations, anatomy, physiology, and pharmacology, pharmacy records and documentation, professional development, and clinical experience. General education courses include college algebra, reading and composition, ethics, general psychology, introduction to the natural sciences and ethics. Students earn 63 credits in the 14 months it takes to complete the associate of science degree or 39 credits for the 7-month certificate of completion. Graduates of the A.S. degree are eligible to register as a licensed pharmacy technician in California State. They also earn Health Insurance Portability and Accountability Act (HIPAA) Certification. Tuition for the program is $17,125.